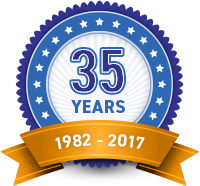 We were founded in 1982 in Union, Missouri, southwest of St. Louis, by Dave Flagg as Septic Services, Inc. We started by installing septic systems, servicing and rebuilding aeration units, septic tank pumping’s and offering portable restrooms. We grew to become one of the largest septic companies in the state installing some 350 residential systems per year, plus commercial plants. We later designed and built the states only septic processing plant for our use. In the 1990’s we began building our own Flagg-Air shaft style aerator for local use and distribution throughout North America to industry professionals. Based on our experience since then, we have developed many types and styles of aerators, pumps, and control panels which includes the Flagg-Air 340, Whirlwind, Max Air 500, Retro-Air, Bullet Pump, and Red Alert control panels just to name a few. We have provided training many times nation-wide on aeration and systems for state organizations and international trade shows used as continuing education credits for industry professionals licensing. By the 2000’s we started our online store, Septic Tank Parts. Com, with a goal to provide our highest quality products and other manufacturer products at a fair price. Today we continue to provide all local services, manufacturing, and distribution. Dave is still working everyday with dedicated, knowledgeable employees, some having as much as 27 years of service. Our products are built tougher to last longer, based on our years of industry experience.